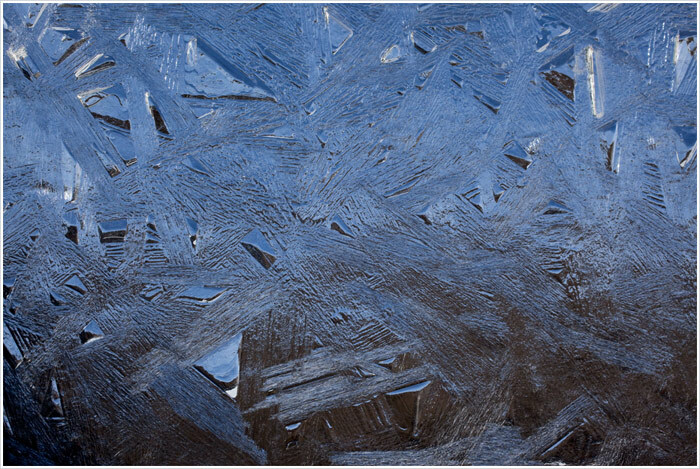 Frozen air bubbles trapped in ice or ice shards formed across a glacial meltpool take on an abstract geometric splendour. These microcosmic depictions of ice formations inspire reflection on the geology of the Rocky Mountains from which they were taken. Using these visual cues, we are encouraged to delve into the universe of our own imagination and ponder the connection between the artist, the universe, and ourselves. Like Sagan, by juxtaposing the cold science of what is real with the joyous alchemy of what is possible, Hakan Temuçin illuminates the cosmos that surrounds us all, as well as the universe that lies within.